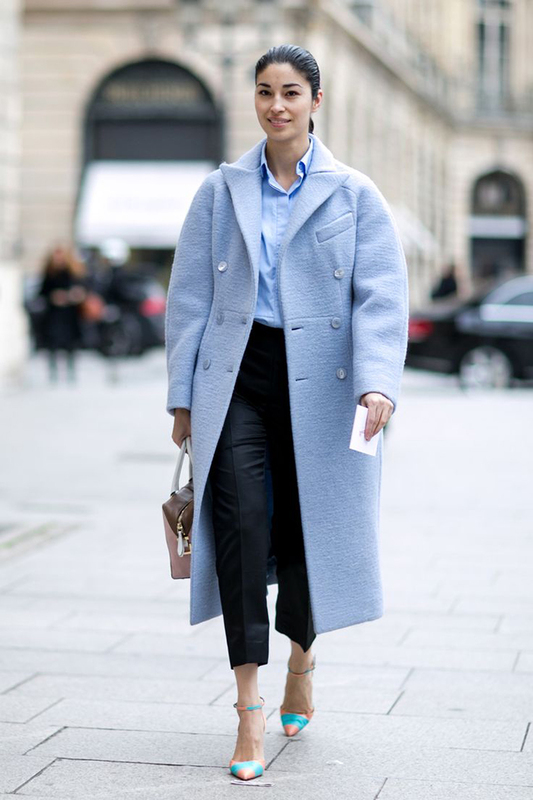 Three shades of blue for Winter 2015/2016 season. Color blue is on the list among the biggest colors of the Autumn/Winter season. Yes, one of the most peaceful colors is calling us to show more love rather than aggression, as well as spread positive vibes rather than fall into depression. All said above might have been the exact idea behind designer's using shades of blue in their seasonal collections. To name a few, Giorgio Armani, DKNY and Boss were spotted abusing the color, of course in the best possible way. All three picture pretty interesting ways of using color blue by mixing and matching different shades together or creating a total, let's say, light blue combinations. This color can also go well in a fashion marriage with other colors, specially neutrals, in this case it comes as a main character. And the best part about color blue is that there are 3 different shades from which we can choose one that suits each us personally the most. Well, if you are lucky enough you can find all three ones going well for you! Light, pastel shades of blue will be a good choice in case you want to bring more tenderness to own appearance. Plus pastel blue is quite close to a crystal white shade of first snow of 2016. Just a little hint, you know. The best part about pastel blue is that you can easily incorporate it in a total one-colored look. Super deep personalities, who love adding a light touch of mystery or drama to own appearance will surely choose deeper shades of blue. 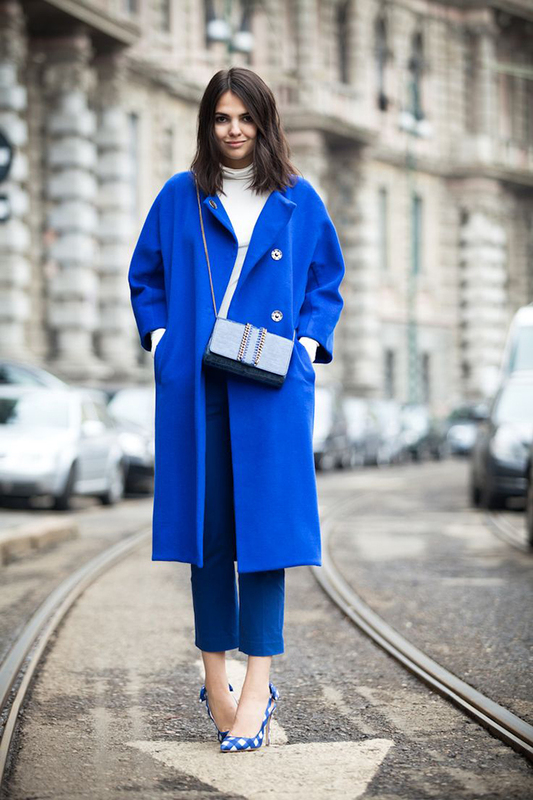 One tiny advice - don't incorporate dark blue into a one-colored outfit as in some cases it can look just too boring. Play around and try adding, at least, little details in contrasting colors, like deep green or casual white. The happiest shade of blue of them all - the bold one. How can you define this category in visual terms? Well, it's popping, it immediately strikes the eye. Bold blue easily attracts attention. Though it can be characterized as irritating. It will work well with other shades of blue, as well as can be a colorful accent on its own. Just don't be afraid of being bright!